Description: Modernization / renovation of former automotive technology spaces to provide new instructional classrooms and reprographics area. Status: Construction is complete. Teaching technology and furniture are installed. 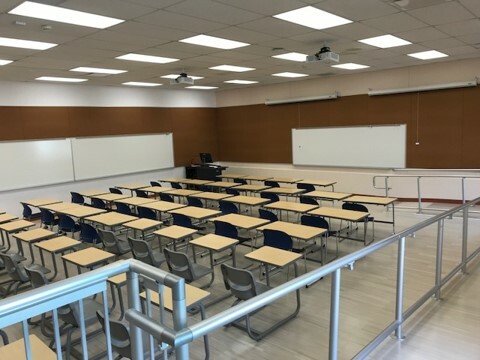 Classrooms in use for Fall 2018.